Also known as Bay Laurel, European Bay Laurel or Mediterranean Laurel. Five other species are used as bay leaf (Californian, Indian, Mexican Indonesian and West Indian Bay leaves). 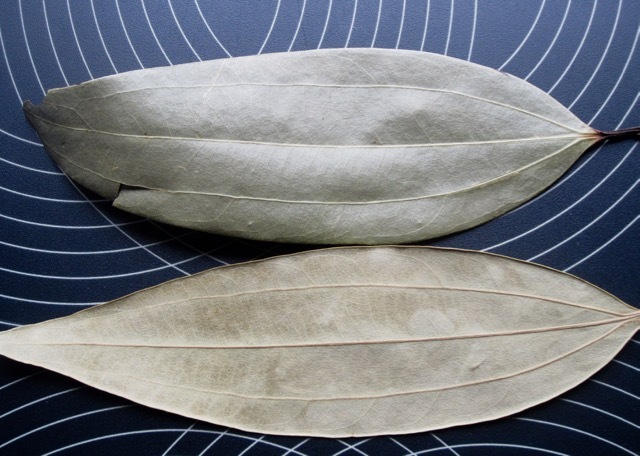 An aromatic, usually dried leaf of the European Bay Laurel tree (Laurus nobilis) used to flavour and season food. The aroma is due to presence of essential oils like myrcene and eugenol. 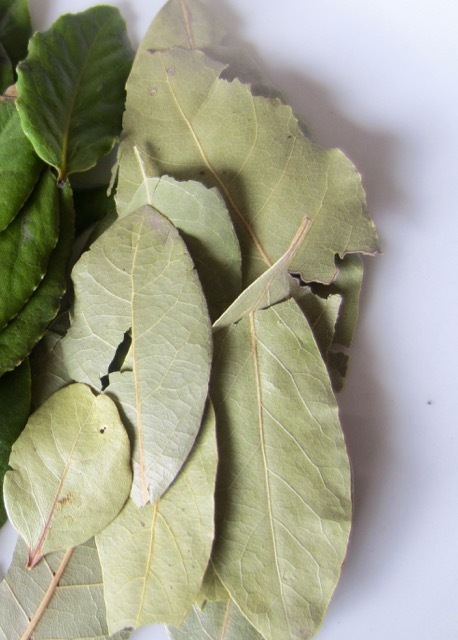 If eaten whole, bay leaves are pungent and have a sharp, bitter taste so they should be discarded at the end cooking, before serving the food. Canadian Food and Drug Regulations require that bay leaves contain 7% moisture or less. Bay leaves are used whole and discarded after cooking. They can also be crushed to enhance flavour but must be tied in a muslin bag or put in a tea infuser because they should be discarded after cooking. Ground bay leaves are reported to be available but I’ve never used them so would not recommend them. The leaves are often used to flavour soups, stews, sauces, meat, seafood, vegetable dishes, beans, and sauces. 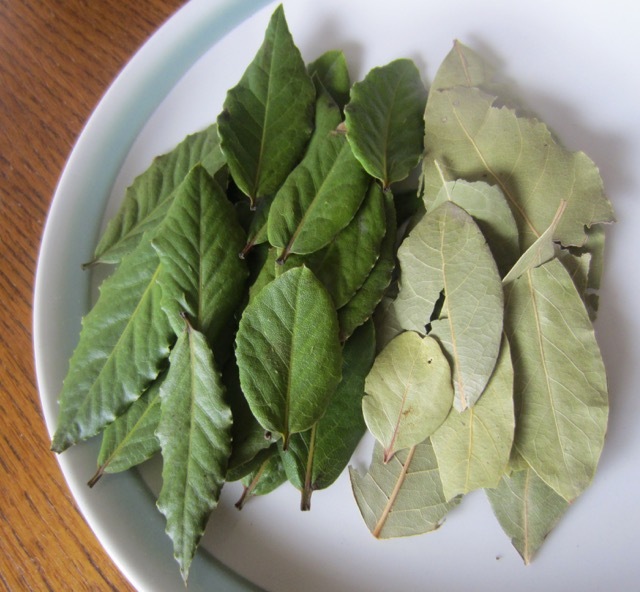 Bay leaf is an essential component of Bouquet Garni, usually composed of parsley, thyme and a bay leaf. Unlike coriander, bay leaf does not lose it’s flavour and aroma, when dried. In fact, it’s always used in dried form, because the fresh leaves have a very mild flavour and aroma. Mexican Bay Leaf (Litsea glaucescens). Posted in Glossary, What is? Prev What is a Bamboo Shoot? Next What is Yellow Wax Bean? I’ve also heard it referred to as “Leaf of Bay” by some older people. Thanks for sharing that. I love cooking with Bay leaves.